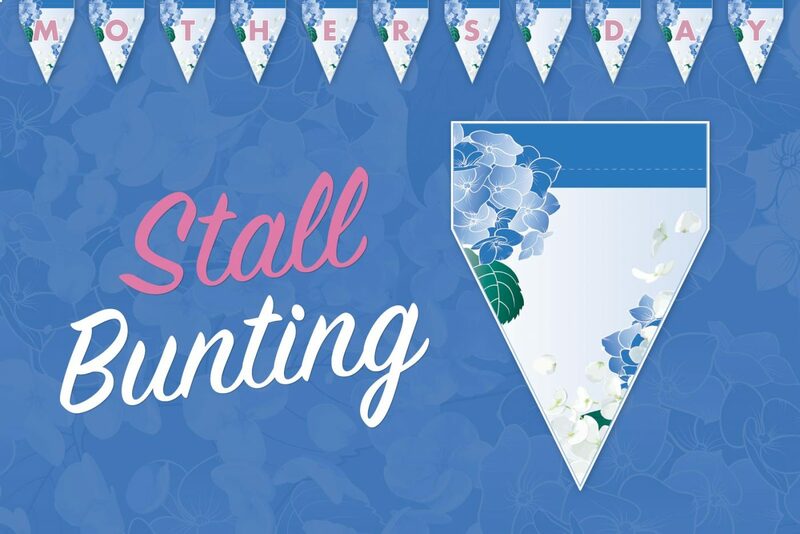 Download your FREE DIY Mother’s Day Stall Bunting and give your upcoming Father’s Day Fundraising Gift Stall that finishing touch to impress. Give your Father’s Day gift stall that finishing touch by decorating it with our themed bunting. Just print off the template and get cutting, folding and stapling to proudly present your “MOTHERS DAY STALL”.